Skye has a valuable and diverse background as a professional player, coach, sports organization Board Member, business-person and sports parent which enables her to connect with her audiences in a uniquely empathetic, responsive and engaging manner. A Workshop in Establishing Mission & Value Statements – and Creating a Solid Plan to Live Them! Skye received a MBA from the University of Richmond (Virginia) and a Bachelors in Sport Management from the University of Massachusetts, Amherst. She has extensive business experience as the owner of a real estate company with over $40,000,000 in annual sales, the founder of the Girls Can Club – a non-profit mentoring initiative, a youth sports organization Board Member and the founder and owner of the Soccer Parenting Association. 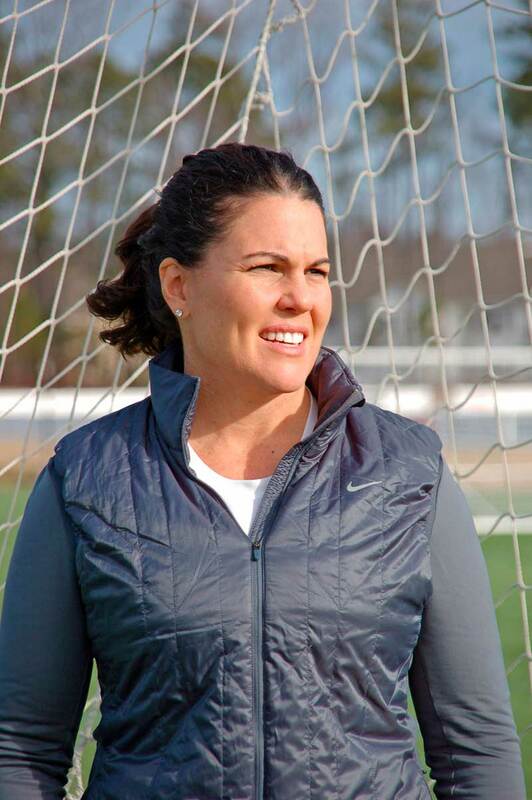 Skye hold her USSF "B" License and USSF National Goalkeeper License and is a coach-educator for the United Soccer Coaches (NSCAA). She has coached at all levels of youth sports from from U-5 recreation to the U.S. National Team programs through Training Centers and a Youth National Team Camp. Skye has been an expert guest on the Sirius FM Coaching Academy radio show, Football.com podcast, Player Development Project webinar series, JLM Speaks podcast and has been published in Soccer America, SoccerWire, Can't Pass – Can't Play, the Changing the Game Project, KeeperStop and more. She is a regular presenter at the United Soccer Coaches (NSCAA) Convention, the US Youth Soccer Workshop, many State Soccer Association AGM's and was the host for the Soccer Parenting Summit. Contact Skye today to learn more about the possibility of her speaking to your youth sports organization.